Two of Chris Stewart Group’s current regeneration projects have been named by Business Insider as being amongst the five best in Scotland. George Street in Glasgow, which is currently awaiting confirmation of its planning consents, will see the restoration and redevelopment of a series of listed buildings, as well as new build elements that will help to reinstate the urban block. In addition to the refurbishment and redevelopment of the existing buildings, and the construction of new elements, CSG proposes to create a publicly accessible pedestrian lane that permeates through the centre of the site. This will help realise the full potential of the site and enable the use and retention of existing buildings. The intention is that ground and mezzanine levels on the lane will be filled with restaurants, cafes, studios and bars which will bring vibrancy and vitality to the whole city block and the wider city context. 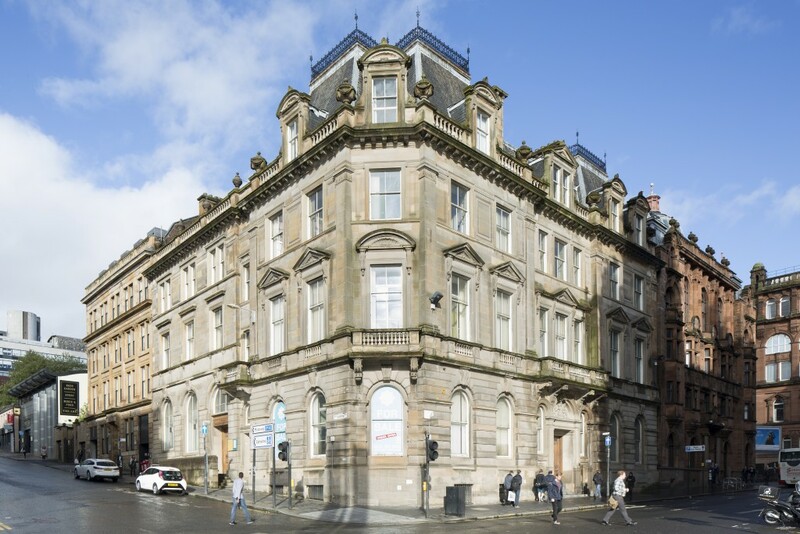 The Registers will see a major refurbishment and redevelopment of the grand former RBS bank building at 42 St Andrew Square and a number of buildings on West Register Street, including the retention of a beautiful Venetian Gothic warehouse building. 42 St Andrew Square is an impressive neoclassical bank building completed in 1942, with a top lit entrance atrium and double height banking hall with interiors that reflect the art deco era of 1930s America. The proposals for the buildings on West Register Street and South St Andrew Street comprise the partial preservation of a striking Venetian Gothic facade dating from the 1860s, which will be connected sympathetically to a contemporary new build office created from beautiful, high quality stone and glazing. This mixed use development will see a number of new entries to the Edinburgh food and drink scene, as well as the creation of The Edinburgh Grand, the home of Lateral City‘s latest serviced apartments, and the striking Mint Building, which will provide more than 60,000 sqft of the very best office accommodation in Edinburgh. Link to the full article is available here.